Following two straight years of softer growth, the UAE's real GDP is set to gather pace in 2017 and 2018 as the non-oil sector is likely to stage a healthy recovery and offset some moderation in the oil sector, said a report. "We foresee real GDP growth edging up from an estimated 2.5 per cent in 2016 to a solid three per cent in 2017 and four per cent in 2018. Whilst we may see gains in the real oil economy capped by planned oil production cuts, the healthy recovery in non-oil activity is likely to more than make up for that, as we see the hospitality and construction sectors propelled forward especially in the run-up to the Expo 2020 event in Dubai," said the NBK report. Growth in the oil economy is expected to be limited in at least the near-to-medium term on the back of planned production cuts. On 30 November, Opec agreed to an oil production cut for the first time in eight years, in an attempt to prop up oil prices. The 13-member group agreed to cut output by 1.2 million barrels per day for six months starting January 2017. To that effect, the real growth in the oil sector could slow from an estimated 2.4 per cent in 2016 to 1.6 per cent in 2017 before rising to around 2.8 per cent in 2018 as production is gradually restored to pre-production cut levels, the NBK report said. The non-oil economy is forecast to witness a healthy bounce in 2017 and maintain stronger momentum going into 2018, as the transport, construction and tourism sectors (some of the biggest contributors to non-oil GDP growth) gather pace. Activity in the residential real estate sector is also seeing signs of stabilisation, after almost two years of slowing growth. "We anticipate a jump in real non-oil growth from around 2.6 per cent in 2016 to 3.6 per cent and 4.5 per cent in 2017 and 2018, respectively," it said. The latest data on the UAE’s Markit Purchasing Managers’ Index (PMI), a good gauge of non-oil sector growth, also suggest that non-oil sector activity is set to rise in the near-to-medium term. The headline PMI rose from 53.3 in October to 54.2 in November, as relatively stable local economic conditions helped offset the weakness in external demand. The PMI’s employment component also trekked upwards, rising to a four-month high of 51 and dispelling fears of weaker business and employment conditions. Much of the resilience of the non-oil economy continues to stem from Dubai’s hospitality and construction sectors. The number of passengers passing through Dubai International Airport continues to hold strong. In October, this number reached 6.4 million passengers, up 2.7pc year-on-year (y-o-y). Despite the ongoing decline in average daily room rates at hotels in Dubai over the past year, the demand for hotel rooms remained relatively solid as reflected in the average occupancy rate, which came in at a still high 75.6pc in October, the report said. Dubai’s construction sector will also continue to be a key driver of non-oil growth. Construction activity is expected to remain robust, especially as Dubai prepares for Expo 2020. Projects include the construction of buildings, metro expansions, roads and bridges. The construction sector is also set to benefit from plans to foster the UAE’s Vision 2021 and long-term strategy to establish a post-oil “knowledge economy” via the “UAE Strategy for the Future” blueprint. The strategy aims to bolster the nation’s non-oil economy and enhance its economic diversification. The resilience in Dubai’s non-oil economy is reflected in the Emirates NBD Dubai Economy Tracker Index (DET). The DET is a forward-looking index similar to the PMI which tracks non-oil activity in Dubai. It recently witnessed a healthy pick-up thanks to buoyant levels of activity in the travel & tourism and wholesale & retail trade segments. Following almost two years of slowing growth amid tighter regulations, higher housing supply and risk aversion, residential property price growth in Dubai appears to have largely stabilised. According to the latest data published by Asteco, prices of apartments fell by approximately two per cent y-o-y in Q3 2016 versus a decline of 2.8 per cent y-o-y in Q2 2016; prices of villas fell by 3.4 per cent y-o-y in Q3 2016 versus the four per cent y-o-y decline in the previous quarter. NBK expects the stabilisation period to continue at least until the end of 2017, after which the residential price growth could pick up on the back of stronger demand, it said. The value of real estate transactions continued to trend lower throughout 2016, while growth in the number of transactions remained subdued but steady; the latter may be reflective of the pockets of strength in the “more affordable” housing sector. The recent surge in the real estate transaction value may also be indicative of a nascent recovery in the luxury housing segment, it said. After continuing to trend lower for most of 2016, inflation in the consumer price index (CPI) has been gaining some traction of late, as housing inflation (which weighs more heavily in the index) appears to be reversing its downward trend. The latest numbers showed overall inflation rising from 1.4 per cent y-o-y in September to 1.9 per cent in October. As well as seeing some upward pressure from housing inflation, a mild acceleration in food inflation recently also pushed the overall inflation rate higher. However, food inflation remained soft after coming in at 2.3 per cent y-o-y, it said. "Looking ahead, we expect CPI inflation to gradually edge higher in 2017 and average at around three per cent for the year, as a recovery in global oil markets pushes inflation in the transport and communications segment up and housing inflation gathers pace," said NBK. The report expects the UAE's fiscal balance to remain in deficit, albeit a manageable one, in 2017 before returning to a surplus in 2018 on the back of higher revenues. The fiscal balance slipped into a deficit in 2015 for the first time in six years, after a drop in oil prices sent oil revenues tumbling. But against a backdrop of a global recovery in oil markets, together with some fiscal reforms, the deficit is seen narrowing from an estimated 3.3 per cent of GDP in 2016 to 1.1 per cent in 2017, before turning into a slight surplus of 0.5 per cent of GDP in 2018. "Thanks to the UAE government’s abundant financial reserves that stand at over 200 per cent of GDP, the fiscal deficits have been manageable. This has widely helped both Dubai and Abu Dhabi maintain their high levels of public spending, particularly on infrastructure projects. In Dubai, infrastructure spending is expected to accelerate in the run-up to the Expo 2020 event," the bank noted. Nonetheless, the major emirates have embarked on some fiscal adjustment and reform, including subsidy cuts and the introduction of fees on certain services. According to official reports, Abu Dhabi has cut back or delayed spending on a number of projects designated as low-priority. Efforts have also been made to rely more heavily on the private sector for implementation of some projects. 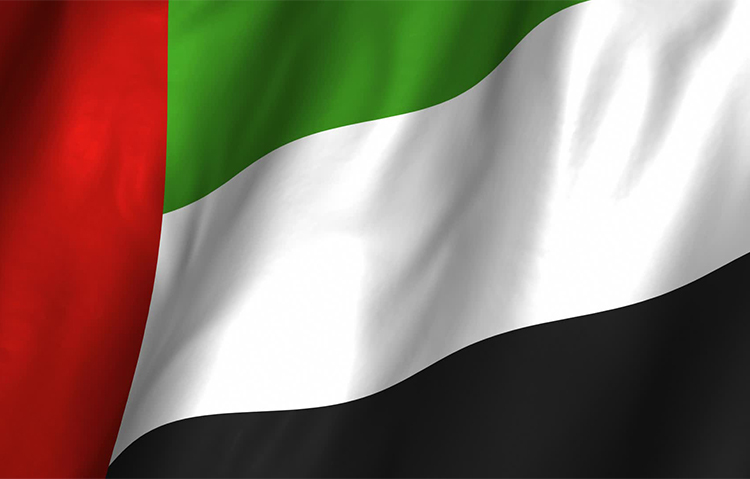 "Furthermore, it increasingly looks like the UAE will be one of the first GCC nations to implement a value added tax (VAT). The first phase of implementation, scheduled for 2018, will include UAE companies with annual revenues greater than $1 million. At five per cent, the VAT is expected to generate around $3.3 billion in tax revenues, or around one per cent of GDP.